What better way to spend the holiday thanking your dad than cooking up a delicious breakfast with a few of his favorites! This Father’s Day, spend some time cooking for your dad (or even WITH your dad!) with these hearty, simple, and wholesome meal ideas. Kick off this celebration of all things “dad” by giving an original breakfast meal a manly makeover. 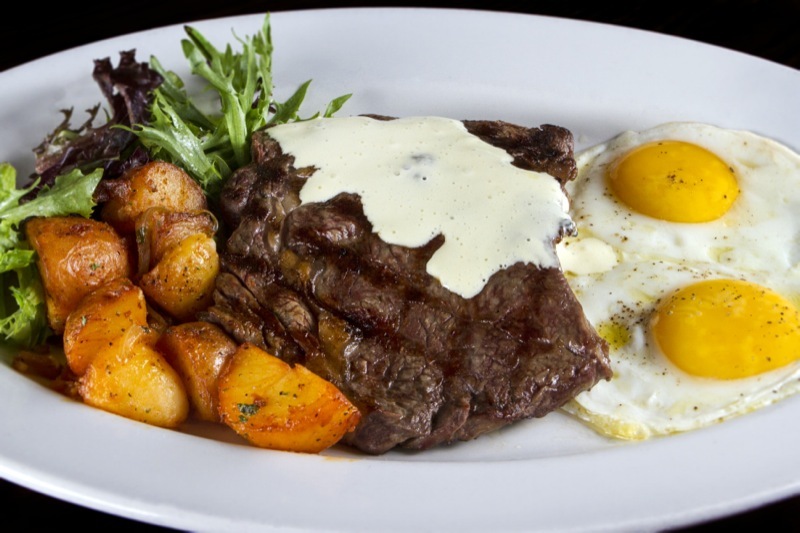 Instead of a Plain Jane egg dish, add some sliced, pan-grilled steak from your local butcher to create the perfect steak and eggs dish. As always, we at Good Food Made Simple stress that knowing where your food comes from is important, so make sure to ask for your butcher’s recommendation when picking out your steak. Only the best for dad! Another option (and this one’s our favorite, if we do say so ourselves!) 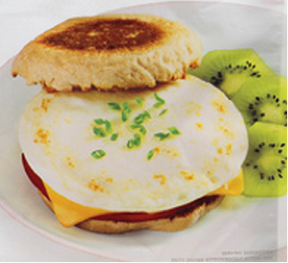 is a nice, hearty breakfast sandwich on homemade wheat flour biscuits complete with one of our wholesome egg patties. Start with an easy whole-wheat biscuit recipe, like this one. Once you’ve got your biscuits cooking, throw some turkey bacon on the skillet. Not only is turkey bacon lower in saturated fat, it’s also fewer calories than regular bacon. Heat up your Good Food Made Simple egg patties. They’re the perfect size for a biscuit sandwich, and the perfect serving of high-protein, low-sodium eggs to kick off a day full of activity. Voila! A scrumptious, wholesome and protein-packed power play to get dad on his feet and celebrating what’s most important on this special day – HIM! These recipes and food ideas will make for an unforgettable kick-start to this year’s Father’s Day. Check out an interview from last June with our co-founder George Gavris to hear about what meal he looks forward to on June 21st! Subscribe to our newsletter for coupons and deals!